The Family Medicine faculty and staff are a dedicated group of physicians and health professionals involved in the medical education, professional development and well-being of the residents and students on our campus. They are highly motivated and involved in all areas of residency training, the hospital and the community. With more than 25 years Graduate Medical Education experience, Dr. Radcliffe has been a Program Director for 20 years. He received his medical degree from West Virginia University School of Medicine and completed residency training in Family Medicine at Wheeling Hospital. He is ABFM board certified. Prior to UHC, his experience includes private practice in Buckhannon WV and serving as an Assistant Professor of Family Medicine at West Virginia School of Medicine. As UHC Medical Director, Dr. Radcliffe is an active member of the UHC Medical Staff, serving on the Medical Executive Committee, Quality Improvement Committee and Chair of the Hospital Patient Safety Committee. Dr. Radcliffe is the primary preceptor for clinic procedure days. Other interests include hospital medicine, resident career development, and primary healthcare in West Virginia. 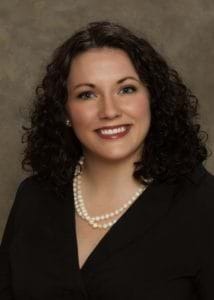 Dr. Courtney is a graduate of the UHC Family Medicine Residency Program. Originally from Fayetteville, West Virginia, she holds a B.S. in Biology from Concord College and obtained her D.O degree from West Virginia School of Osteopathic Medicine. She is a member of the AAFP, AOA and ACOFP and is board certified by the American Board of Family Medicine and the American Osteopathic Board of Family Physicians. As the Director of Osteopathic Education, Dr. Courtney participates in and oversees OPP/OMM training within the Osteopathic Track. She also works closely with Dr. Ashley Yelinek on the Sports Medicine Prep Track. Research, scholarly activity and faculty development are other areas of interest and responsibility within the residency program. She also enjoys providing oversight and guidance to her resident advisees and all Osteopathic residents. Dr. Courtney participates with Healthy Harrison in Healthy Lifestyle choices education to students in Harrison County. In addition to being the Chairman of the hospital Ethics Committee, Dr. Courtney’s professional interests include women’s health, preventive medicine, and the care of children. She enjoys playing the piano and traveling with her family. She, her husband, and their three children, reside in the Bridgeport area. 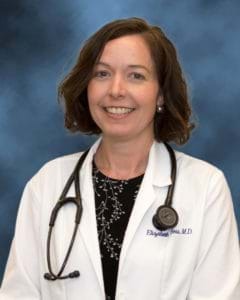 Dr. Elizabeth Hess, a native of Grafton, WV, graduated from West Virginia University School of Medicine and completed her residency in Family Medicine at UHC, where she served as chief resident. She is ABFM board certified and a member of the AAFP and Alpha Omega Alpha medical honor society. She also served as an American Board of Family Medicine test reviewer. Dr. Hess is an active member of the hospital medical staff and serves as the Chairman of the Pharmacy and Therapeutics Committee. Her love of physical fitness and healthy lifestyle promotion made Dr. Hess the natural leader of the Integrative Medicine track and Physician Wellness program. Establishing base-line milestones for few residents, development of the rotation block schedule and board preparation are among her areas of focus as a faculty member, as well as, mentoring her resident advisees. With more than 15 years of faculty experience, Dr. Hess leads resident evaluation and progression of the Family Medicine Milestones as the Chairman of the Clinical Competency Committee. 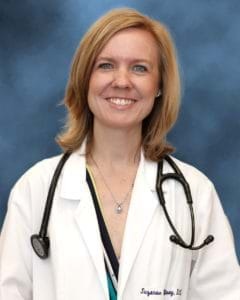 Her professional interests include disease prevention through lifestyle choices, behavioral issues in pediatrics, child and adult learning theory, wilderness medicine and endocrinology. She is actively involved in community wellness efforts including promotion of clean indoor air and childhood obesity prevention, including participation with Health Harrison and the Harrison County Board of Education. She enjoys spending time with her family and her dogs, as well as exploring the outdoors of WV and running road races and marathons. 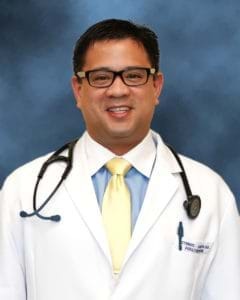 Originally from Beaumont, Texas, Dr. Victor Singzon joined the UHC Family Medicine team as a faculty member in 2014. Dr. Singzon graduated from Baylor University and St. Luke’s College of Medicine. He completed residency training at UHC Family Medicine, where he was chief resident. 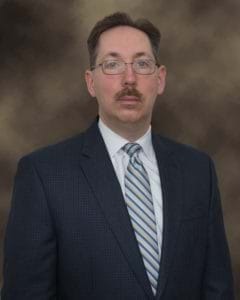 Following residency he entered a solo primary care practice for three years in Philippi, WV before returning to the Family Medicine team as a faculty physician. 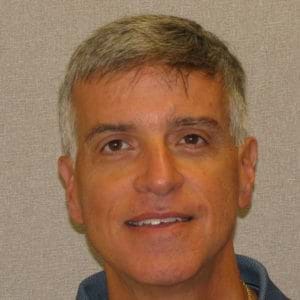 Like the other core faculty he supervises and teaches on the inpatient service and in the clinic and mentors a group of resident advisees. As Clinical Director for the Family Medicine Center clinic, Dr. Singzon’s professional interests include quality measurement and improvement, patient safety, Patient Centered Medical Home activities, and the EPIC electronic medical record. Dr. Singzon has a passion for improving healthcare with technology. His enthusiasm is contagious. He serves as the Chairman of the Department of Family Medicine and is the Chief Medical Information Officer for United Hospital Center. He also sits on the Accountable Care Organization Board for WVU Medicine, UHC Medical Executive Committee and Pharmaceutical and Therapeutics Committee. Dr. Singzon, his wife and daughter reside in the Bridgeport area. His interests outside the office include youth soccer, spending time with family, traveling, tennis and eating. 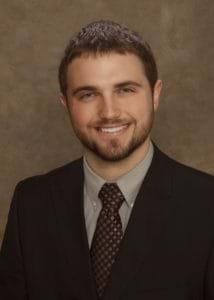 Joining the faculty team in 2018, Dr. Teubert is an alumnus of Fairmont State University, the WV School of Osteopathic Medicine and was Chief Resident at UHC Family Medicine. He is ABFM and ACOFP board certified and a member of the AAFP and AOA. As do all Family Medicine faculty, Dr. Teubert supervises residents in the hospital and clinic and mentors a panel of resident advisees. Dr. Teubert developed and oversees the Inpatient teaching curriculum and also develops monthly schedules for residents on various rotations like MDS, Emergency Medicine and Inpatient Peds. Other areas of focus include OPP/OMM, evaluation of resident performance, rotation curriculum design and recording of resident experience. Medical interests include antibiotic stewardship and inpatient medicine. Outside of work, Dr. Teubert enjoys spending time with his family, fishing and golf. A graduate of West Virginia University and the WV School of Osteopathic Medicine, Dr. West is a recent graduate of the UHC Family Medicine Residency. She is board certified by the American Board of Family Medicine and American Osteopathic Board of Family Physicians and a member of the AOA. In addition to supervising the residents on the Inpatient team and in the clinic, Dr. West’s primary interests within medicine are women’s health, including OB, OPP/OMM, and reading Stress Tests. She manages an active OB and women’s health practice within the Family Medicine Clinic, incorporating the residents into the care of these patients. Like all core faculty, she also guides a panel of resident advisees. 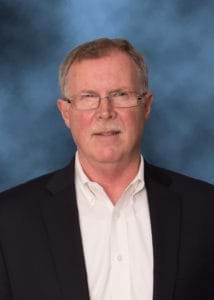 Administratively, Dr. West develops the noon lecture series and the procedure, didactic and wellness block sessions and is involved with rotation goals and objectives and curriculum development. When not at work Dr. West’s interests include cooking, traveling, building furniture and spending time with her dog. Born in Clarksburg, WV, Dr. Malone graduated from West Virginia University and the West Virginia School of Osteopathic Medicine. Currently, he is the Medical Director for two local nursing homes and supervises the residents on the Geriatrics rotation. The residents describe his zeal for medicine and love for his patients as infectious! Dr. Malone has maintained a busy continuity clinic for more than 20 years and is a Field Professor and Board Member for Rural Health Education Partners. Dr. Malone enjoys running, snow skiing, going to movies, listening to music and spending time with his wife and children. Dr. Mark Povroznik graduated from WVU School of Pharmacy and completed a Hospital Residency at WVUH with a focus on infectious disease. In 1995, he was one of the first to obtain a PharmD degree from WVU School of Pharmacy. 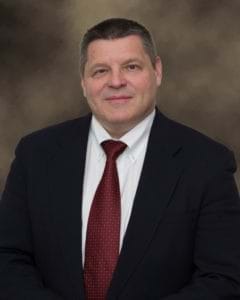 Dr. Povroznik presently serves as the Vice-President of Quality with responsibilities for Performance Improvement, Patient Safety, Hospital Accreditation, Infection Control, Case Management, and Clinical Pharmacy. Dr. Povroznik serves as chairman of the Infection Control committee and assists the 200+ member medical staff with antibiotic stewardship. With a love for teaching, his career thus far has delivered over 600 continuing education programs, including those delivered to the Family Medicine residents. In addition to delivering noon lectures, Dr. Povroznik precepts resident physicians for the Quality Improvement and hospital regulations portions of their Multi-Disciplinary Studies (MDS) rotation. Mark is the proud husband of Dr. Lisa Povroznik and father to two wonderful daughters. Since joining the Family Medicine team, Anna-Marie’s passion and responsibility have been to help transform UHC Family Medicine into a Patient Centered Medical Home and increase the high quality care provided to patients. 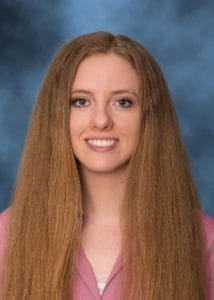 Anna-Marie is a graduate from Samford University, but performed her clinical hours locally in Bridgeport, Salem, and Buckhannon. Her passion for providing patient centered care started in when she graduated from University of Nevada, Las Vegas with her BSN. As a nurse on a youth unit of a psychiatric facility she came to love supporting people and families in need. This passion continued when she moved to West Virginia and worked in the Emergency Department. She became a nurse practitioner to have a wider scope of practice to have more tools to help people. At UHC Family Medicine she actively utilizes all of these tools to assist the physicians and staff in providing truly patient-centered care. In addition to providing direct patient care, Anna-Marie actively tracks patient outcomes and progress, and reports that information to the appropriate members of the care team. Having become Board Certified in Advanced Diabetes Management, Anna Marie coordinates our active Diabetes Education Care Team. Outside of the office she is actively involved in church, spending time with her family, hanging out with her dogs, and eating any delicious food she can find. Dr. Kojsza graduated from United States International University psychology program and has been licensed since 1995. He is an Associate Fellow of the Institute of Rational Behavioral Therapy. Most of his work with others involves the treatment of depression and anxiety. Dr. Kojsza has developed wellness programs and has been a consultant at various hospitals in the Tristate area. He has also been an adjunct professor at Indiana University of Pennsylvania and Marshall University. In the Family Medicine practice Dr. Kojsza assists with the management of patients with depression, anxiety, etc. who may benefit from short term counseling or group therapy sessions. He also provides noon lectures and provides instructional support to the residents and faculty of the residency program. The resident support and wellness program is facilitated by Dr. Kojsza. He is the father of four daughters and lives with his wife in Fairmont, WV.